ISLAMABAD: After appeals from human rights advocates to suspend the execution of a mentally-ill prisoner Khizer Hayat, the Chief Justice of Pakistan Saqib Nisar deferred the order late Saturday night. 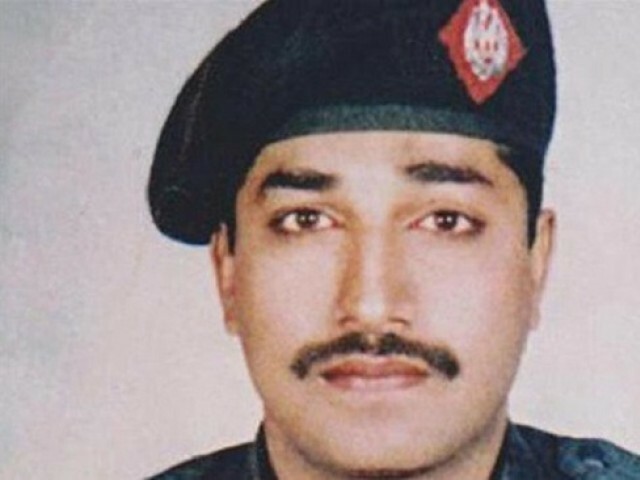 The top judge took notice of the execution orders after media reports that a district and sessions judge scheduled Hayat’s execution on January 15 at the Lahore’s Kot Lakhpat Jail. The mentally-ill convict was diagnosed as a schizophrenic by medical authorities at the correctional facility. Justice Nisar not only suspended the order, but has also fixed the case hearing on January 14. Rights’ organisations and activists were campaigning to have his the mentally-ill prisoner’s execution suspended, as well as, his case be reviewed in court. After 8 years of moratorium on execution, in the wake of Peshawar massacre of 2014, when more than 150 people (there was no official figure available as many injured succumbed to injuries later) mostly school pupils were martyred and many others were seriously injured, the government of Pakistan decided to lift the moratorium on death penalty in terrorism related cases, however later it has silently lifted the moratorium for all capital cases. About 471 prisoners have been said to be executed since Pakistan had lifted moratorium. As of December 2017 more than 8000 are languishing on death row in Pakistan, as suggested by various reports, as there is no official data available. Pakistan created special military courts to try persons, including civilians, alleged to have committed terrorism offences but these courts fall short of fair trial standards. There is not even no right to appeal from the decisions of these courts. Human Rights groups in Pakistan have time and again voiced serious concerns over the procedure adopted by the military courts. Reports state that most of the relatives of the persons arrested, detained and convicted by these military courts, only came to know about the conviction of their dear and near ones through media when the Inter Services Public Relations made public the convictions and sentence through issuance of press releases. In several of the cases people had complained that their convicted relatives were believed to be “missing persons” when in fact they had been in detention for many years before their trial and subsequent convictions. Military court trials, in pursuant to the constitutional amendments, fall far short of international fair trial standards and also to the guarantees enshrined in the Constitution of Pakistan (especially right to life, right to fair trial and right to have counsel of one’s own choice, Article 9, 10 and 10 (a)). High number of confessions raised serious questions about the interrogation methods employed, and suggest the possibility of even torture and threats. Non availability of oversight of Superior Courts is another point of concern as decisions of military courts are only permissible to limited judicial review, that is only with regard the question of lack of jurisdiction, coram non judice or mala fides. It must be noted in that a, sentence of death awarded in the formal justice system of Pakistan by any session court is subject to confirmation by a two member bench of the High Court but this necessary protection against miscarriage of justice is not available to persons charged and tried by these military courts. Though, Pakistan Army amendment Act, 2017, provides some protection like, ground of arrest within 24 hours of arrest, right to engage counsel of one’s own choice, application of Qanoon e Shahadat Order 1984 (Law of Evidence, 1984) but still since there is no right of comprehensive judicial review or even right of appeal to higher courts, the right or ability to challenge the deprivation of such rights and protections provided for in the Army Act, is easily denied. Military Courts have also tried and convicted juveniles. One example is the case of Haider Ali. Though Pakistan has ratified ICCPR, UNCAT UNCRC that required the State Parties to limit the death penalty only to the most serious offences, to not resort to torture, and to ensure special protection for children but the Pakistan, military courts are dispensing “justice”, and even trying civilians and children in contravention to Pakistan’s commitment to these UN Conventions and/or Treaties.. The only source of information of those who arrested, detained, tried and convicted by military courts is a media statement of the Inter Service Public Relation (ISPR) after sentence has been meted out, with no other necessary details. Death penalty through the military courts for those committing acts of terrorism has failed to deter such crimes. The series of attacks since the end of the moratorium and the imposition of the death penalty is sufficient proof of this. There were only 2 crimes carrying death penalty in 1947 when Pakistan came in to being but now there are altogether 27 offences that carry death penalty in Pakistan. Further, Death penalty in Pakistan is not reserved to the most serious crimes but also now includes ordinary offences like kidnapping and drug offences. Abolish Military Courts System. Pakistan should try all persons, including those accused of committing terrorist linked offences in the normal criminal courts. Repeal the twenty third constitutional amendments and all subsequent amendments in the Army Act that allow military courts to try civilians, that undermine legal safeguards that ensure fair trial. f. That juveniles and/or children shall not be tried in military courts, and should never be sentenced to death. g. Make public the exact number of death row prisoners along with case details of all those who have been tried and convicted by military courts since the introduction of 21st constitutional amendment. Being a party to the International Covenant on The Civil And Political Rights (ICCPR), Pakistan should immediately impose moratorium on death penalty as a first step towards abolition, restrict the number of offences carrying death penalty to the most serious crime only, as reflected in Article 6 of the ICCPR. ADPAN is appalled reports that another 4 persons, tried by Pakistan’s military courts, may be executed soon after their death sentence was confirmed by the Chief of Army. This Military Court, which came into being in January 2015, for the purpose of speedily trying persons accused of committing terrorist offences, falls short of international fair trial standards and requirements, including the denial of the right to appeal. Decisions of these military courts, unlike normal criminal courts in Pakistan, are not subject to appeals to the High Court and/or the Supreme Court. This denial of the right to appeal means appellate courts will not have the opportunity of analysing the evidence produced before the military court or dwelling into the “merits” of the case. This reasonably will increase the possibility of miscarriage of justice, and hence the likelihood of a person not deserving the death penalty (or even an innocent person) to be wrongfully deprived of his/her life. The Chief of Army Staff General Qamar Javed Bajwa confirmed on Wednesday(20/9/2017) the death sentences awarded to four alleged ‘ terrorists’. This ‘confirmation’ is really an execution order, and this four persons could thereafter be executed at any time. (Geo News, 20/9/2017; Sify.com 20/9/2017; Dawn 20/9/2017; Pakistan News Service – PakTribune 21/9/2017 ). Shabbir Ahmed, Umara Khan, Tahir Ali and Aftabud Din, according to a government statement, vide the Inter Services Public Relations, stated that these 4 persons were ‘involved in killing of 21 persons and injuring another person’ and also that ‘…arms and explosives were also recovered from their possession…’. It also stated that they were tried by military courts that then sentenced them to death. Earlier this month, on 8/9/2017, it was also reported that Army Chief General Qamar Javed Bajwa had confirmed the death sentence of four other persons, being Raiz Ahmed, Hafeez ur Rehman, Muhammad Saleem and Kifayatullah. (Daily Pakistan, 8/9/2017). These persons were said to have caused the death of 16 persons, and that arms were recovered in their possession. It was also disclosed that 23 others were also awarded imprisonment of various durations by the military courts. Pakistan had a moratorium on executions for about 8 years, until the end of 2014, when it was lifted for terrorist linked offences, and thereafter for other capital offences. Since then, about 471 persons have been executed for various crimes. After the December 2014 terrorist attack at the Army Public School in Peshawar, the Pakistan government set up this military court for speedy trial of detained terrorists. The military courts (Field General Court Martial – FGCM) came into being in January 2015, by virtue of Pakistan Army (Amendment) Act, 2015 commonly known as the 21st Constitution Amendment. This legislation had a sunset clause, and would have expired on Jan 7, 2017. However, in March 2017, President Mamnoon Hussain signed the 23rd Amendment Bill 2017, which has now become an Act of Parliament, that had the effect of extending duration of the military courts for another two years, starting from January 7, 2017. The current unavailability of the right of appeal to higher courts on convictions and/or sentences of these military courts is clearly is a violation of the International Covenant on Civil and Political Rights, and a denial of the right to a fair trial. ADPAN calls on Pakistan to immediately re-impose a moratorium on execution, pending abolition of the death penalty.